May usually means the end of the school year for teachers and school-based Speech-Language Pathologists, but for new graduates, May is interview season. 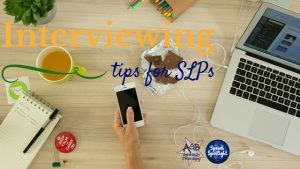 Most of us here at Speech Spotlight haven’t had to interview in a while, but we still have some tips and wisdom to share with all of you out there completing applications and scheduling interviews. Sarah from Speech is Beautiful says, “Smile and be yourself! They don’t want a mannequin!” If you’ve made it to an interview, the panel already knows who you are on paper. It’s important they can see who you are in person. SHINE! My advice is to be sure you’re comfortably but appropriately dressed. It’s important that you can perform the duties of the job you’re seeking in the outfit you wear for the interview. 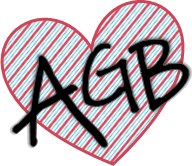 If you want more tips, check out this post over at AGB Speech Therapy. Congratulations to all you new grads and good luck in the interviews!